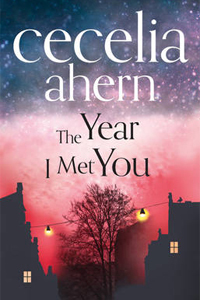 Ever since I picked up The Book of Tomorrow a few years ago I've been enchanted by the storytelling abilities of Irish author Cecelia Ahern and the touch of magic that runs through her romantic novels. She's had a great run with her recent releases and I particularly loved How to Fall in Love when I had the opportunity to review it last year. So you can imagine my excitement when months before the official release of her new novel I was asked if I wanted an early copy for review again. Yes, please! The Year I Met You focuses on Jasmine; a young and successful business woman. She lives for her work so when she's fired from her current company and forced to take one year's gardening leave - meaning she's still on the payroll and not allowed to work elsewhere and can't join a competitive company straight away - her life spirals out of control. Work is everything to Jasmine as she's not the kind of person who can just sit still and enjoy a year of holidays and relaxing. It was fine for the first few weeks as it meant she could catch up with friends and family, which was long overdue anyway, but she's soon bored out of her mind. It doesn't help that she's being kept up at night by the escapades from her neighbour across the street. Matt is a successful radio presenter but the fame has gotten to his head. Each night he comes home at an ungodly hour blaring music in his car and making a drunken racket. Shouting outside his house, he does not only wake up his wife and children but the rest of the neighbourhood too. And when after one too many fiascos at the radio station he too is put on temporary leave, his family finally moves out and somehow Jasmine ends up with his spare key. Suddenly she is forced to talk to the man she's successfully ignored for years as she's despised him ever since he hosted an insensitive show around Down Syndrome, a topic close to her heart as her own sister has it and she is the most important person in Jasmine's life. When I started reading this novel I initially found it incredibly difficult to understand where first Jasmine and later on Matt were coming from. To them being on gardening leave was the worst thing in the universe and Jasmine in particular came dangerously close to becoming depressed by her situation. In a day and age where everyone is still feeling the hardships of the recent recession and for many it is a blessing to have an actual income, people moaning about not being able to work yet still getting a hefty salary sound hugely ungrateful and without perspective of how much others around them struggle on a monetary level. The difficulty of finding work and getting by on a minimum income is something I know very well and as such I felt no sympathy for these characters. They came across like spoiled children and because of that it was hard to identify with them and understand such a pivotal point within the story. If this wasn't a novel by one of my favourite authors and I hadn't received it for review, I probably wouldn't have finished it. But because it is a Cecelia Ahern and I cannot review something I haven't actually read all the way through, I reluctantly continued on. And somewhere along the line my annoyance with the characters' selfish attitudes moved to the background as it started to focus more on intelligent and thoughtful conversations between Jasmine, Matt and another neighbour, as well as Jasmine's personal character growth with her family and in particular her sister Heather. I found these aspects much more interesting and rewarding than the endless moaning about not being able to work (and this is only paid work mind, Jasmine could've easily gotten out of her self-centred bubble and help others by volunteering at a charity). Though The Year I Met You certainly picked up towards the end, this is unfortunately still my least favourite out of Ahern's novels I have read. However, if like me you've picked up the book and feel annoyed by the characters in the beginning, don't give up as I can promise you that you will be rewarded with an interesting and certainly thought-provoking story in the end. Many thanks to the publisher for providing a review copy through Lovereading in exchange for an honest review.